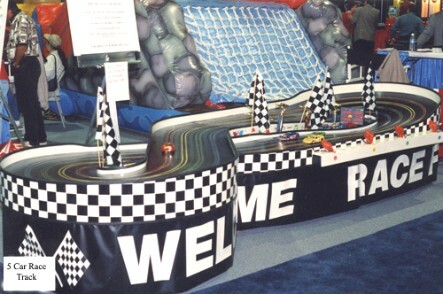 Participants race around a colorful professional slot car race track controlling the speed of the thier car by pressing a trigger on a plastic hand held controller, Each driver is allowed to choose a color car or Nascar, that corresponds with the color of thier lane that the car will follow around the course. After all drivers are introduced to thier race car a short "how to race" presentation is given and then THERE OFF! a digital lap counter displays driver's laps ad we announce the action throughout the race. We can entertain approximately 100 races per hour with our 5 lane track. THIS IS MORE THAN THAN A KIDS GAME! 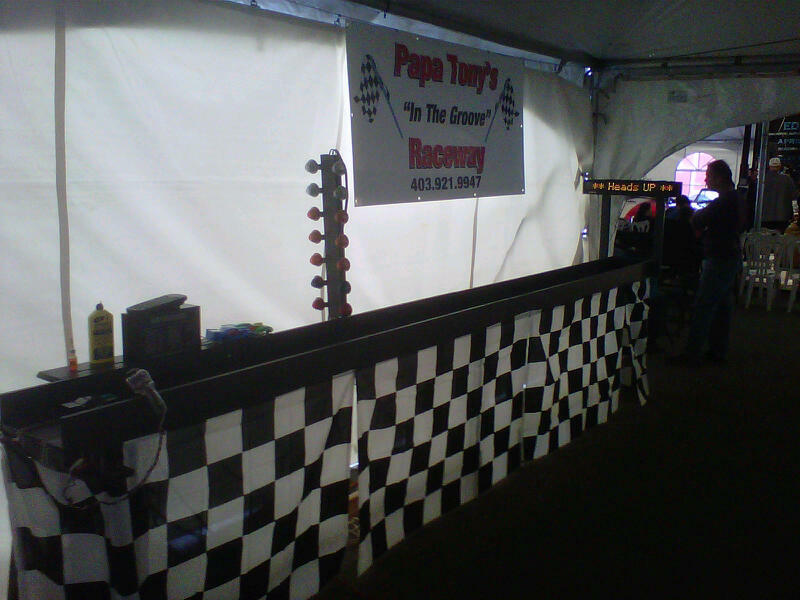 We provide Slot car rental for Birthdays and Corporate Events. Price includes set up and tear down.